The laserdisc players of the 1980s often had command protocols and/or features that were unique to each model. This means that it's usually impossible to directly swap out an arcade game's original laserdisc player for a newer and more reliable model. Standards that allowed compatibility between models came later. Several commercial products have been developed over the years specifically to allow the laserdisc players in arcade games to be replaced/upgraded. If you are looking to find a newer substitution for an original laserdisc player, or if you are just trying to determine whether your game already had a conversion installed into it before you got it, all of these products are shown below. Additionally, non-commercial, downloadable conversion methods that use a desktop PC, or other components, are listed in the 'Disc Player Info & Conversions' section of our main Tech Center. Dexter is the newest product. Unlike the other products on this page which convert to a newer laserdisc player model, no player or disc is needed with Dexter. The Dexter board is a drop-in replacement which poses as a laserdisc player and plays the video for the game digitally, from a custom file format. 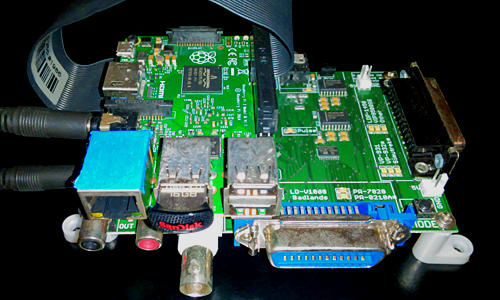 Dexter accepts the original commands from the game's PCB through the original interface cable. Availability: Dexter has been going in and out of production multiple times, per demand, via pre-order process only. 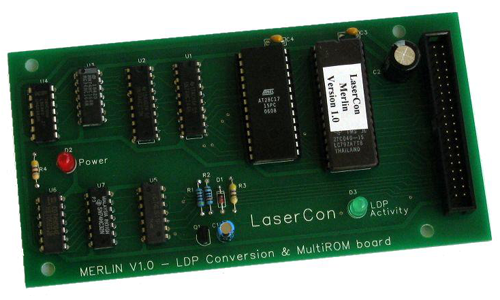 LaserCon receives the command codes for the original laserdisc player from the game's PCB, and translates them into the serial commands used by late-model Pioneer laserdisc players. LaserAce converts the signals for multiple old laserdisc players to the RS-232 standard, enabling replacement with several late-model Pioneer and Sony players. LaserAce also has advanced game-independent features such as disc media and output player performance testing, as well as power supply voltage monitoring. 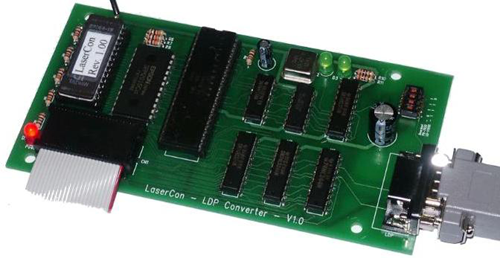 The Hi-Tech card converts the original signal output from a Dragon's Lair or Space Ace PCB to work with almost any Sony LDP series industrial duty laserdisc player. *On April 23, 2019, Shaun Wood released the Arthur Main Logic Board Replacement for Dragon's Lair and Space Ace at $295.  Unlike Merlin-8000, Arthur's primary task is not LDP conversion, but for the record, Arthur boards do have all the Merlin technology and capabilities natively integrated into them.